More reason to take a break this weekend. Dedication to your work is important, especially when you are launching a business, but according to a new study, an inclination to be on call or in the office 24/7 could actually be a symptom of a larger mental health issue. Researchers from Norway's University of Bergen, Yale and Nottingham Trent University surveyed 16,426 Norwegian workers to explore a possible connection between workaholic and psychiatric disorders such as anxiety and depression. The study ultimately found that the workaholics in the bunch were more likely to meet the criteria for the disorders than their non-workaholic counterparts. For example, 33.8% of workaholics met the criteria for anxiety compared to 12.7% of non-workaholics; 32.7% met the criteria for ADHD, while 12.7% of non-workaholics did the same; 25.6% of workaholics met OCD criteria to the 8.7 of non-workaholics; and 8.9% of workaholics met depression criteria compared to 2.6% of non-workaholics. 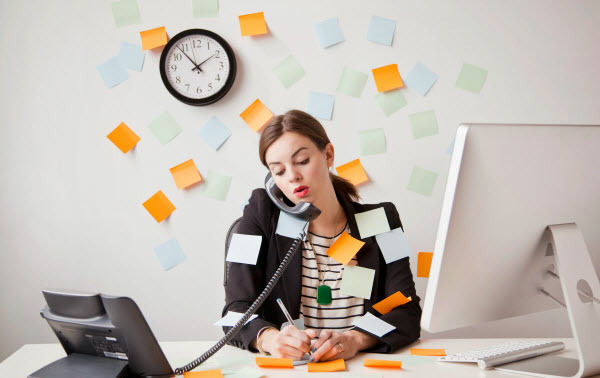 That workaholic distinction was assessed in part by the seven point Bergen Work Addiction Scale that was developed in 2012 by the study's lead author, Dr. Cecilie Schou Andreassen. The survey participants were asked to respond on a scale from one to five, "Never," "Rarely," "Sometimes," "Often" and "Always" to statements such as, "You think of how you can free up more time to work," "You have been told by others to cut down on work without listening to them" and "You become stressed if you are prohibited from working." Scoring four or five on four or more of the queries put individuals in the workaholic group. Though the study's results were self-reported and were for one country, in a statement from the University, Schou Andreassen said, "taking work to the extreme may be a sign of deeper psychological or emotional issues. In wait for more research, physicians should not take for granted that a seemingly successful workaholic does not have ADHD-related or other clinical features. Their considerations affect both the identification and treatment of these disorders."